So I’m not a Capricorn? Yesterday was my birthday. 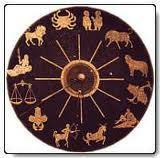 Being born the 14th January makes me a Capricorn according to astrology. Only there is a slight problem. As told in an article on Huffingtonpost an astronomer has kindly remarked that the assignment of signs with the calendar was made thousands of years ago. In the mean time the earth’s orbit has changed, so we should have completely new signs (and personalities?) today. I guess astrology qualifies as a data and information quality trainwreck by forgetting one of the most common pitfalls in data quality: Things change. Yes, the Data Quality horoscope says we should always remember that change is the only universal constant. P.S. Apparently, according to the new dates . . . Thanks a lot (reborn) Jim for commenting and providing bonus information on the slowly changing dimensions in personality reference data. I used to be Sagittarius and now I will be Ophiuchus (as per new type II dimension by Jim)…. Thanks Vish. Ophiuchus is an exciting new personality.